Discuss what to do in an evacuation with everyone in your family. Know where you will go if an evacuation is called. Review at least two exit routes from your home or neighborhood to a designated meeting place for your family. Don’t forget about your pets; most public shelters will only allow service animals. A pet shelter will be set up. Be sure to bring their current vaccination & veterinary records, medicines, registration information, and comfort items, special foods. After a disaster, you may not be able to return to your home for some time. Assemble everything your family will need in advance if you must evacuate your home. Pack one change of clothes and shoes per person as well as one blanket or sleeping bag per person. Create a first aid kit that includes your family’s prescription medications. 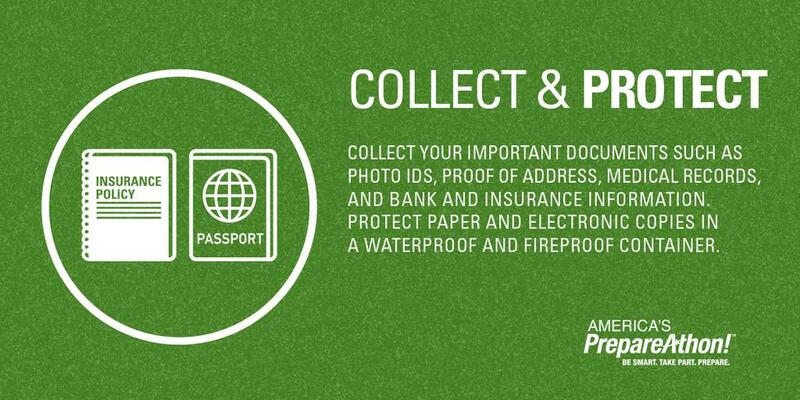 Pack important documents including a picture id and proof of residency (e.g. a utility bill with your address). Write down the name of your insurance company, policy number and telephone number and keep it in a safe place. Include an extra set of car keys, your credit cards, cash. Don’t forget your important emergency contact numbers. Bring extra eyeglasses and a favorite family board game to help pass the time away from home. Don’t forget about your petsand be sure to lock your home. Evacuate immediately if authorities tell you to do so. Wear layered warm, dry clothing and sturdy shoes. Be sure to take your disaster supply kitwith you to a shelter or safe location. Use travel routes specified by local authorities — don’t use shortcuts.